No other bike tour of Manhattan covers this much ground! In fact, one could argue that this scenic cycling excursion is the most fully-loaded tour of Manhattan, full stop! 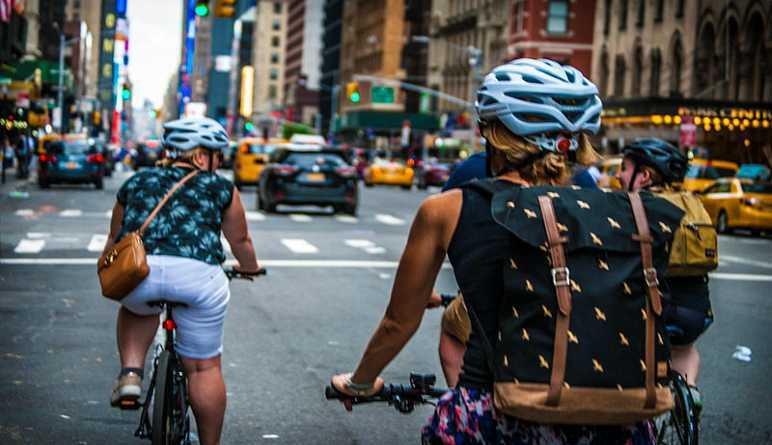 Take a 4-hour Manhattan bike tour, including an extensive Central Park bike ride! Start off in Lower Manhattan under the Manhattan Bridge. Travel along the East River and appreciate the perfect views of the Brooklyn Bridge! Head into Southport Seaport and make your way to Battery Park. Here, you’ll have amazing photo opportunities of the Statue of Liberty and Ellis Island! Continue along the Hudson River Greenway with scenery that includes Chelsea Piers, the Meatpacking District, Highland Park and more!Explore the Upper West Side, home to Julliard, the Lincoln Center and Columbus Circle. Take a breather—enjoy an hour-long lunch at any delectable eatery of your choosing! Next, it’s on to Central Park—enjoy a full hour discovering Fredrick Law Olmstead’s masterwork! See the Great Lawn, Central Park Lake, Harlem Meer, Tavern of the Green and Strawberry Fields! Appreciate architectural marvels such as The Guggenheim and Metropolitan Museum of Art! After this stretch of adventure, continue with a quick cycle through Midtown Manhattan. Ride through Times Square before calling it a day! 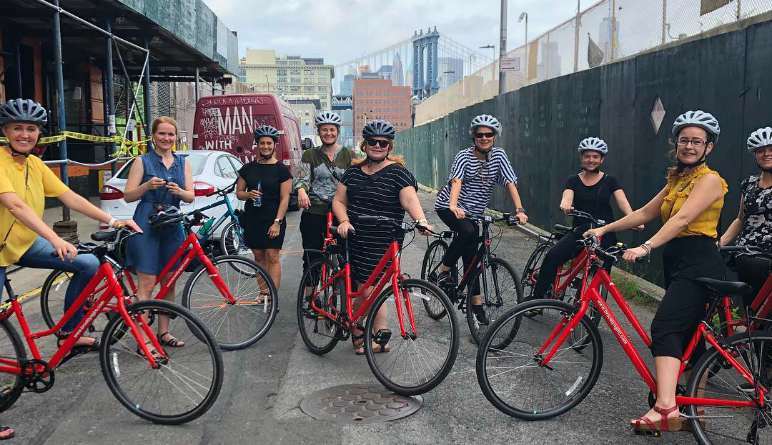 Before returning your bike, pose with your fellow cyclers for a group photo in front of the Manhattan and Brooklyn Bridges! This isn’t some speedy endurance test. 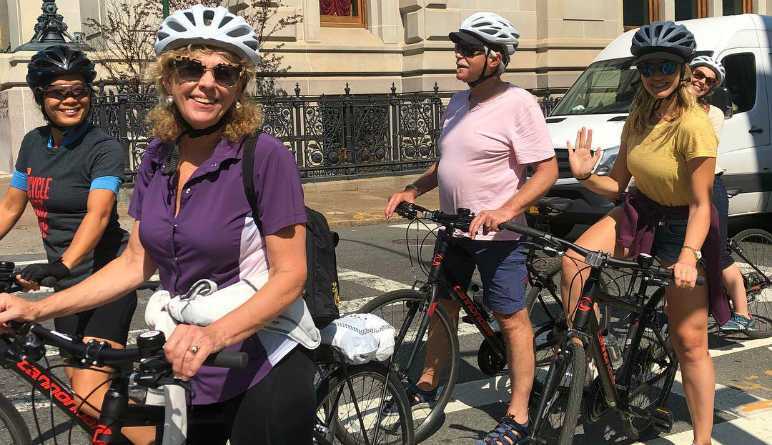 It’s a bike tour that takes its time to let you appreciate all the gems that make New York the greatest city in the world. Book today!